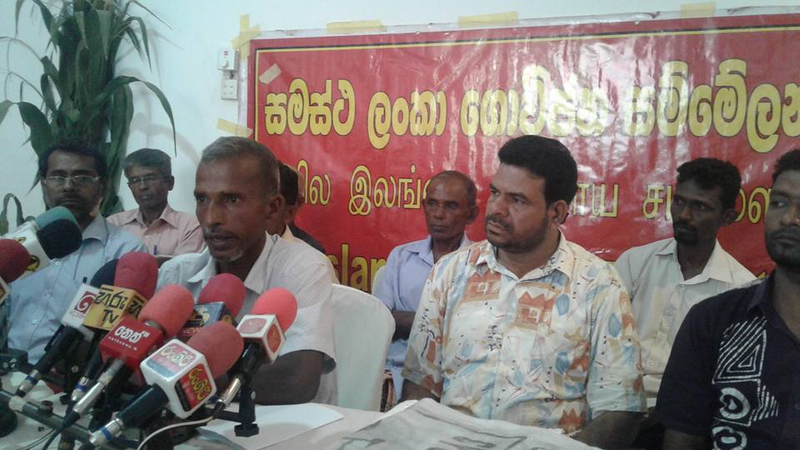 They would commence a massive struggle throughout the island if the issues that affect the farmer community are not solved within the next five days states All Ceylon Farmers Federation. 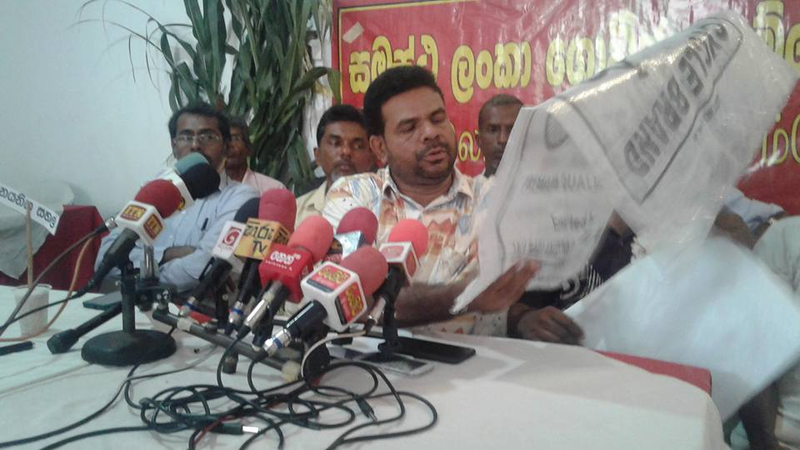 This was stated by the National Organizer of the All Ceylon Farmers’ Federation JVP North Central Provincial Councilor Namal Karunaratna at a press conference held in Colombo yesterday (10th). At the press conference participated by Mr. Karunaratna, the General Secretary of the Federation T.B. 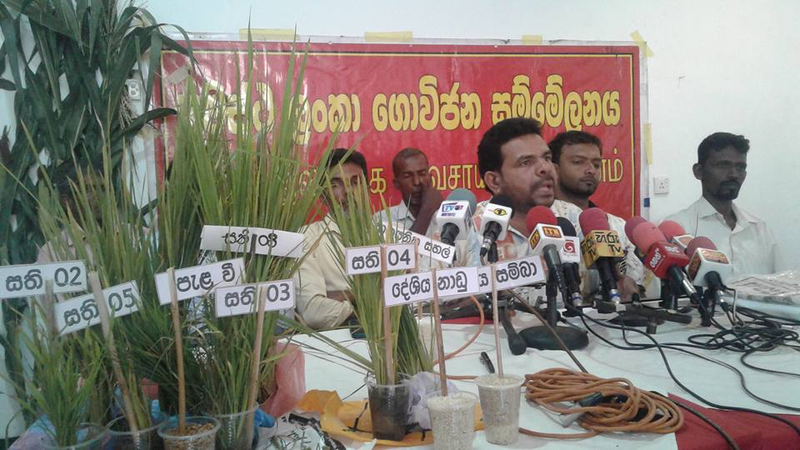 Sarath and leaders of several farmer associations plants of maize, paddy as well as empty bags of imported rice with a statement printed that rice could be kept for two years were displayed. 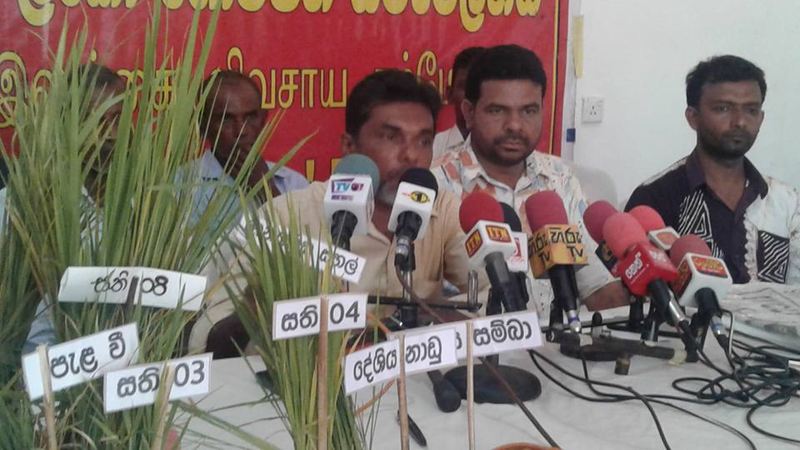 Despite the government paying attention to other destructions caused by the disaster that occurred in many parts of the country, the government has not taken any notice of the havoc caused to the cultivations pointed out Mr. Karunaratna. He said the government should pay compensation for farmers whose cultivations have been destroyed due to the disaster situation immediately. Mr. Karunaratna also said that despite 45 days have gone by since seeds have been sowed, the fertilizer subsidy has not been paid and pointed out that the subsidy has not been paid for two seasons. Hence, the subsidy should be doubled and paid to the farmers he demanded. He said if the compensation is not paid within the next five days his organization would begin the protest movement from Ampara. Mr. Karunaratna said the rice that has been imported is not plastic but a natural rice. However, he revealed that the rice imported from India and Pakistan has been treated with a poisonous substance to preserve it for a longer period. He said normally rice could be preserved for three months but the bags containing rice imported from India and Pakistan state the rice in them could be kept for two years. He said this proves that a poisonous substance has been added to preserve the rice for two years. He said farmers planted maize on a request by the Minister of Agriculture. However, there is no market created for maize and the farmers have to sell maize for a low price of Rs.8 a kilo and said the government should find a solution for the issue.